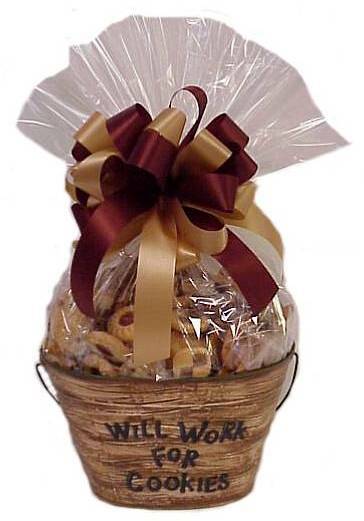 This adorable metal bucket is filled with an assortment of sweet and crispy gourmet cookies sure to keep them hungry to be "working for cookies"! Cookies are one of America's favorite snack and dessert foods, and this gift is chock full of cookies to please any palette. Great for your favorite cookie monster or office staff!